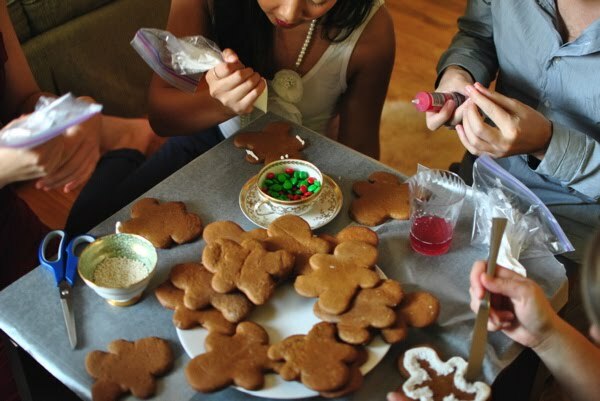 This weekend, my friend Sashee and I hosted a holiday cookie swap. 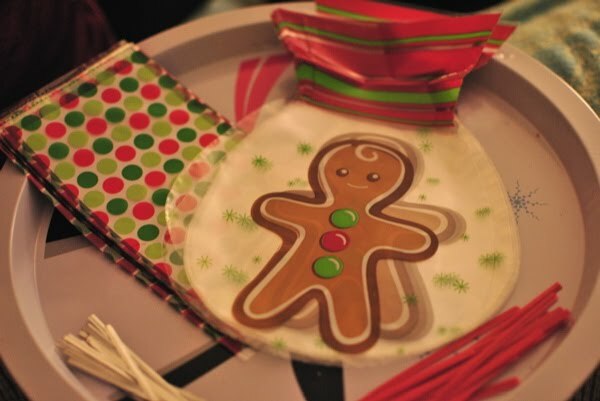 It was so much fun seeing all our friends and eating cookies all afternoon. 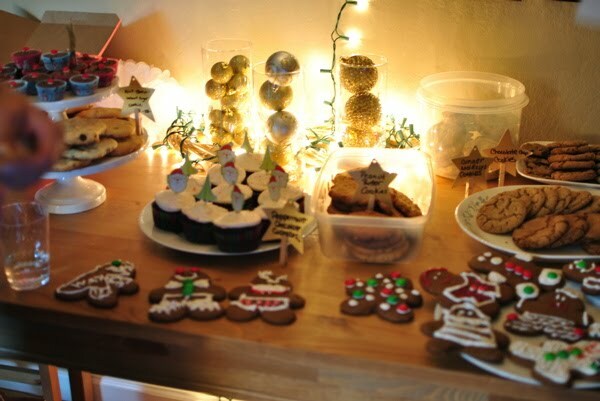 Since everyone brought a different plate of cookies, we just put out a few savory snacks, drinks, and a pitcher of milk and then got to relax and enjoy everyone’s company. 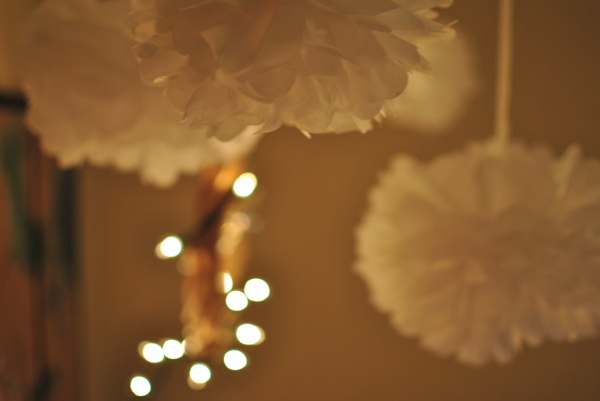 For decorations, we strung these tissue paper pom poms at varying lengths from the ceiling. They remind me of giant snowballs. Sashee made out like a bandit and found this natural wreath, string of lights, and fancy ornament for just a few bucks at the dollar store. 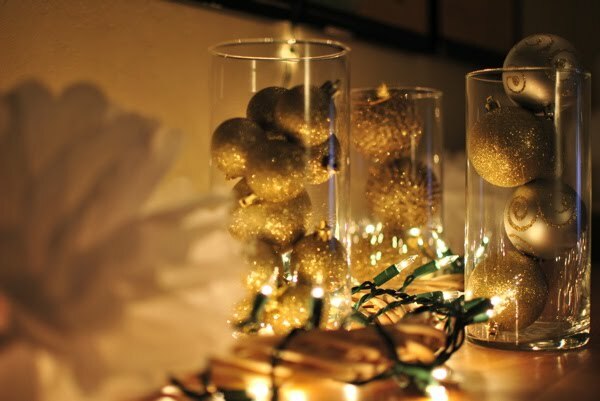 She also picked up these glass vases which we filled with glittery ornaments. 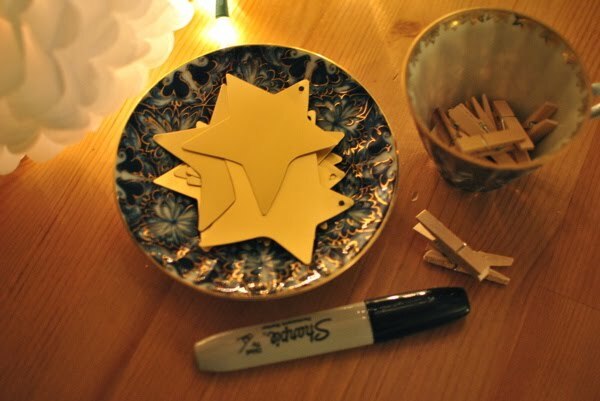 We set out these gift tags so that people could write the names of their cookies on them. Mini clothespins acted as cookie name tag stands. 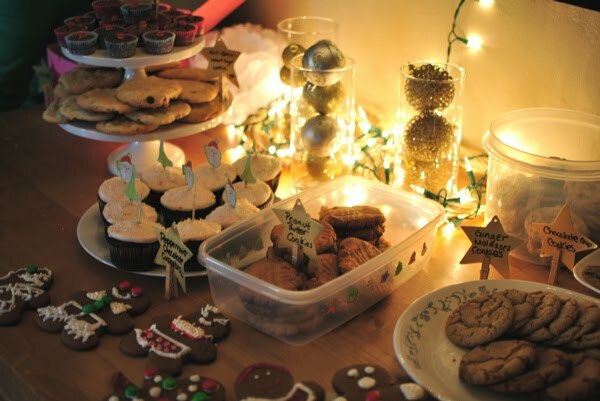 An entire table was dedicated to the cookies (and cupcakes and brownies). They were all so pretty! 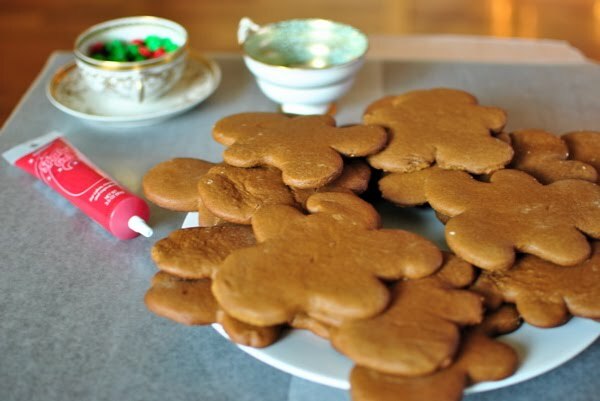 We also made gingerbread people for guests to decorate. 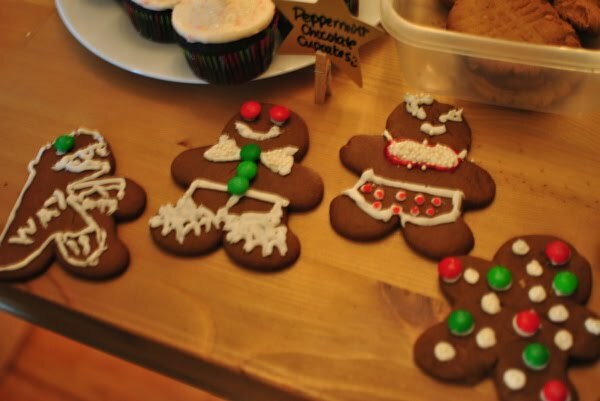 And the cookies were so creative! 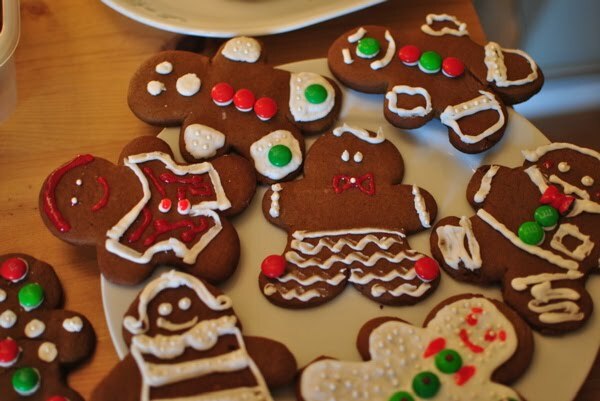 I made a gentleman (in the center), my cousin Nathalie made the red-headed gingerbread man on the left (a ginger gingerbread man, get it? haha!) and our friend Noelle made a judge in a striped robe. The dinosaur and the bikini babe above cracked me up. At the end of the night, we gave everyone a goody bag (gotta love those $1 bins at Target!) 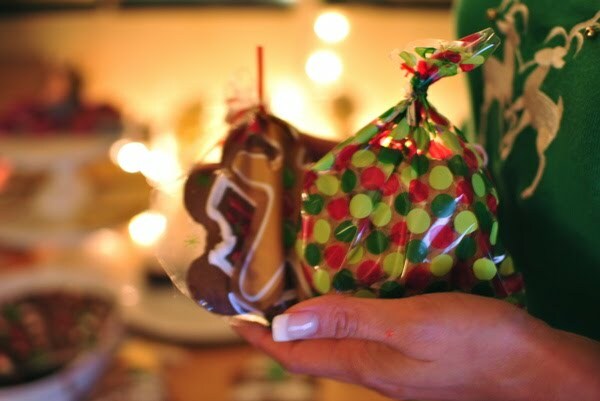 so that they could all take home treats for later. Other party highlights were playing Taboo and Telephone Pictionary. Have you played Telephone Pictionary before? It was my first time and it was hilarious! How fun! 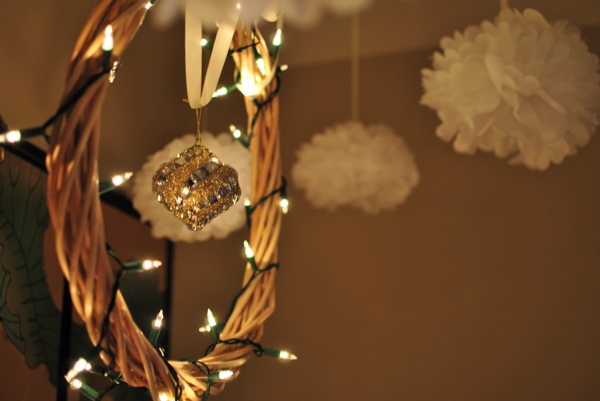 I am hosting one this weekend, I'm so excited… It was just a good excuse to have a party! That was so fun. Thanks for including me and I'm sorry I took off so early. Sounds like the rest of the day was a BLAST! Reasons like this are why I am so glad this is my last semester. The holiday season just flies by with exams and such. Looks like a delicious time! Danielle, how exciting–good luck with your last exams! Thanks to you and Sashee for hosting the cookie swap. Telephone Pictionary was a definite highlight. You must do a post of the pictures!